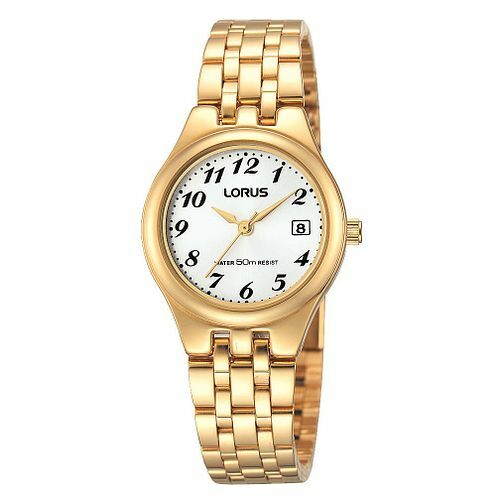 A simple and elegant ladies' gold-plated bracelet watch by Lorus. Styled with a fresh white dial with date window, and featuring 50 metres water resistance. Sophisticated elegance for the modern woman.